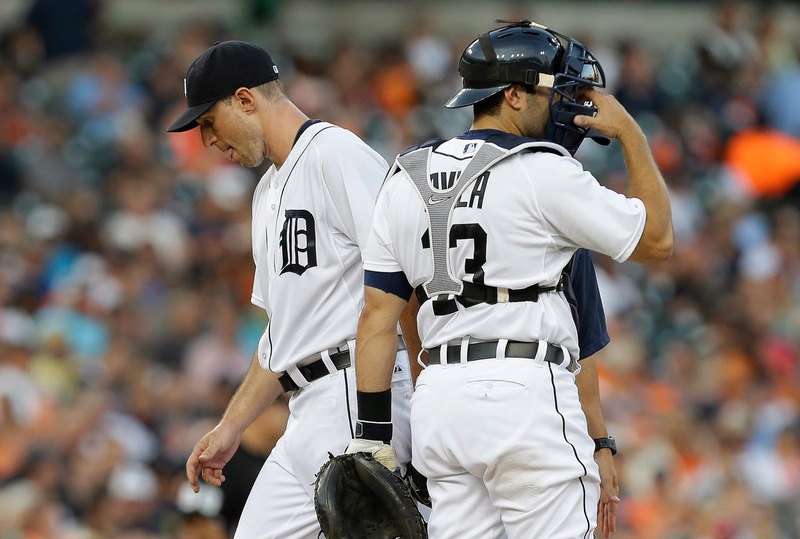 - There will be a tendency to be tough on Scherzer after his results tonight. They speak volumes. It was kind of weird how he threw so many balls, but had few walks. The keys to pitching are obvious, but they hold especially true for Scherzer because his changeup is such a great pitch. The idea is to get ahead in the count with his fastball. Sometimes Scherzer is overpowering, but usually not enough he can pitch from behind in the count. And his change up is not a pitch he should be throwing a lot at 2-0. It doesn't matter the pitcher, if he gets into that spot enough, he is going to get hammered. I'm not so sure the complete game at Chicago didn't take something out of Scherzer for this start. His numbers are starting to look pretty ordinary. He has a 3.84 ERA and WHIP of 1.25. That isn't going to get him a Cy Young Award again, that's for sure, but I'm not so sure how much it will hurt on the free agent market. Unless there is an injury involved, I can't see how Scherzer doesn't get at least the $144 million the Tigers offered him. It's just the nature of the beast in MLB right now. Starting pitching rules, despite disappearance of the complete game. - I like what I see from J.D. Martinez as a hitter. It's difficult to understand why he wasn't better with Houston. He is still young, though. There is hope. - Hey, it's about time the Tigers dropped out of first place. It's been awhile since they have played like a contending team. And there couldn't be worse sign than their two aces didn't come through when most needed.